I have just read on line that Jules Bianchi has passed away. 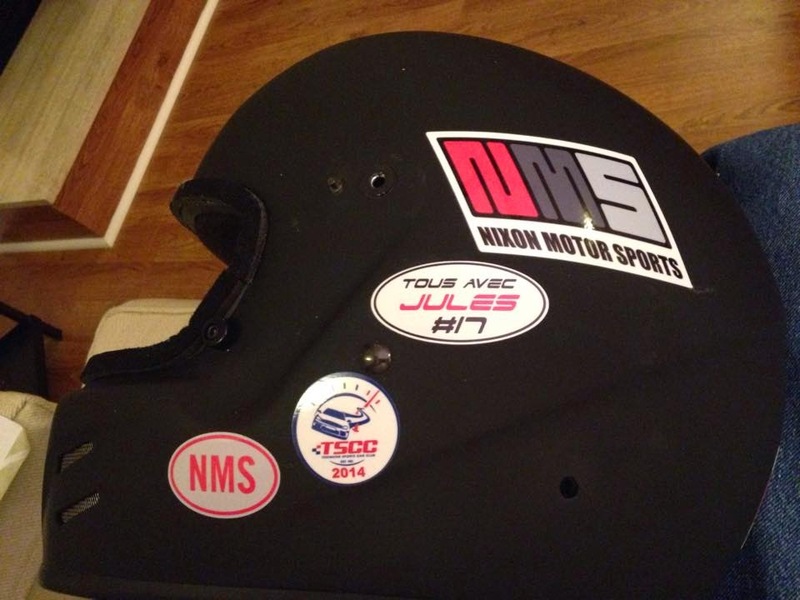 His race car number was 17, and I will continue to wear a small reminder of him on my helmet and my car. The short story background is that Formula 1 driver Jules Bianchi was in a terrible crash during the F1 Grand Prix of Japan last October, and had been in the hospital in a coma ever since. This report states that he has just passed away due to the injuries suffered in that crash. Jules was a young driver on the Marussia team, and had scored the only points that his team ever scored (finishing in the top 10 of one race) earlier in 2014 at the Monaco race. In addition to the danger of racing automobiles, remember that driving every car, every day, has the potential of serious injury, so please continue being a safe driver. "Furthermore, we thank Jules’ colleagues, friends, fans and everyone who has demonstrated their affection for him over these past months, which gave us great strength and helped us deal with such difficult times. Listening to and reading the many messages made us realise just how much Jules had touched the hearts and minds of so many people all over the world.